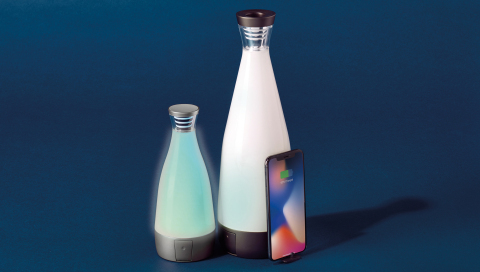 Boris Brault, CEO of Deconnect, commented, “The Gloo ecosystem aims to redefine the image of mobile charging – from purely functional, and often unsightly - to something that complements today’s contemporary interiors and connected lifestyles equally. Deconnect is all about the sharp edge of the internet of things - and with Gloo, form meets function for the first time, whether you’re at home, in a bar or at an airport lounge. Based in Miami, Deconnect specializes in the smart-home market. The Deconnect brand was born out of a desire to reimagine everyday household objects, reinventing them as smart, stylish and connected pieces that use the very best materials. Deconnect is part of the BOW (Be Over the World) Group - a fast-growing and consumer-driven IOT specialist, operating worldwide in the wearables, connected vehicles and smart home environment. In July 2015, BOW raised €10 million from NextStage AM in series A funding round and closed in November 2017 its $23.5 million series B funding lead by PM Equity Partner, the corporate venture fund of Philip Morris International. 1 App store or Google play store.